Brando provides custom css option. 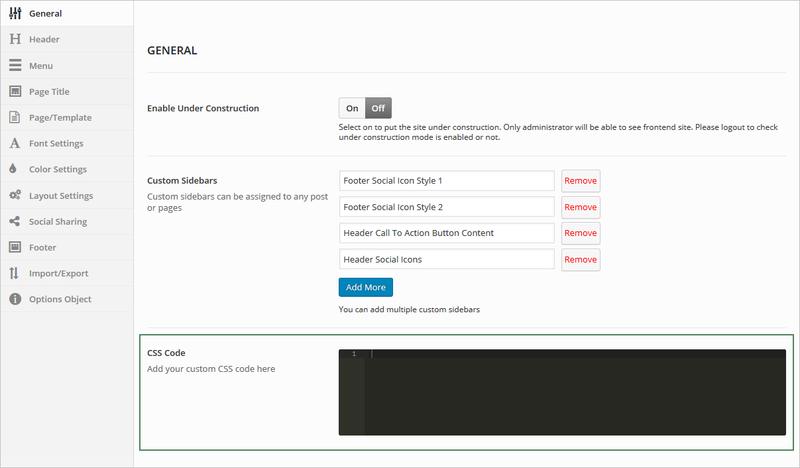 It will only apply in front-end of site, custom css code will dynamically added inside <style> tag. Navigate to Admin > Appearance > Theme Settings > General from admin panel’s sidebar. Add you custom css code in “CSS Code” text area as show in below image.